All handmade and customized to your wishes. 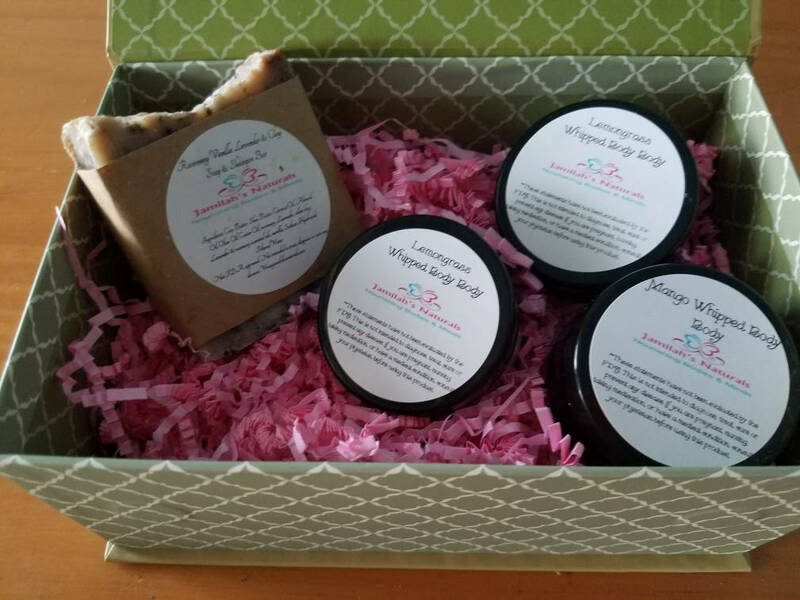 Includes 3 sugar scrubs or whipped body butters and 1 bar of handmade soap or lotion. Any combination from my store listings can be included just specify at checkout. Show that special someone just how much you care. Comes in a beautifully designed gift box. Check for availability of design subject to change but can pick from the stock at checkout.